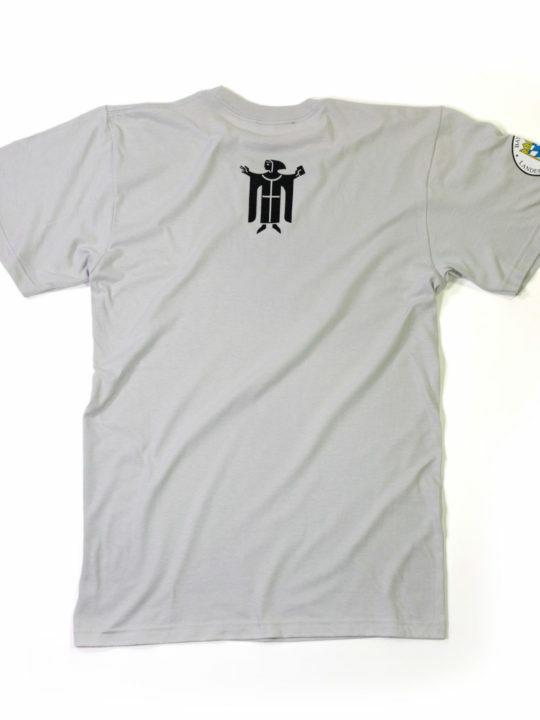 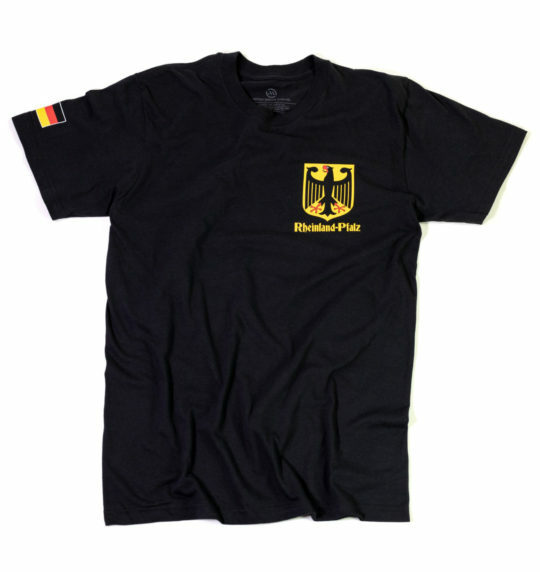 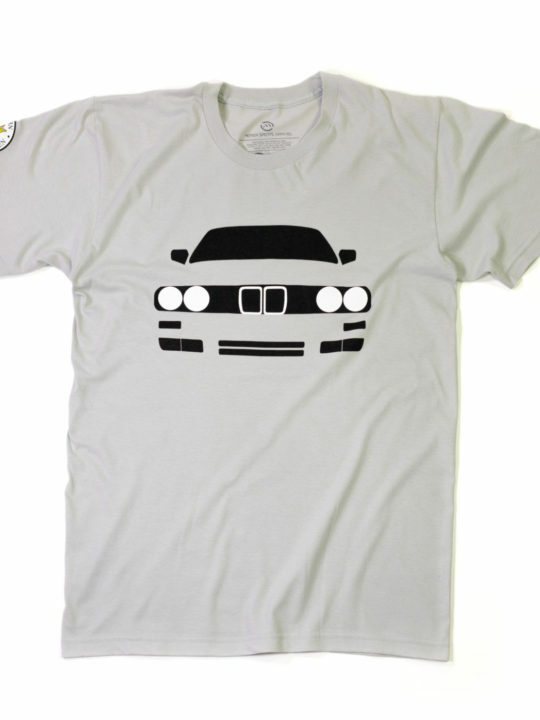 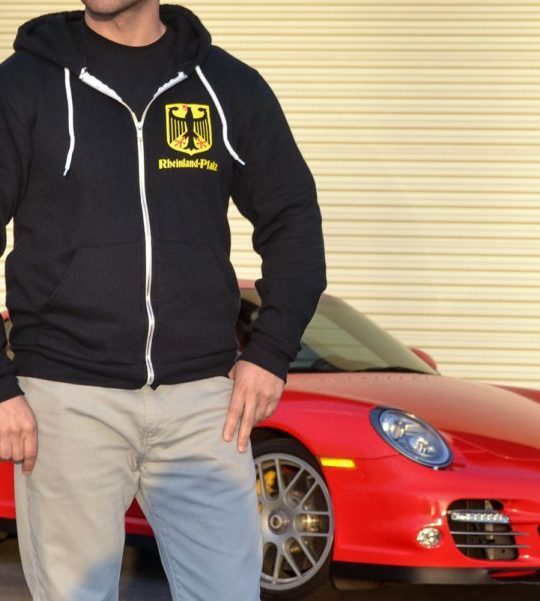 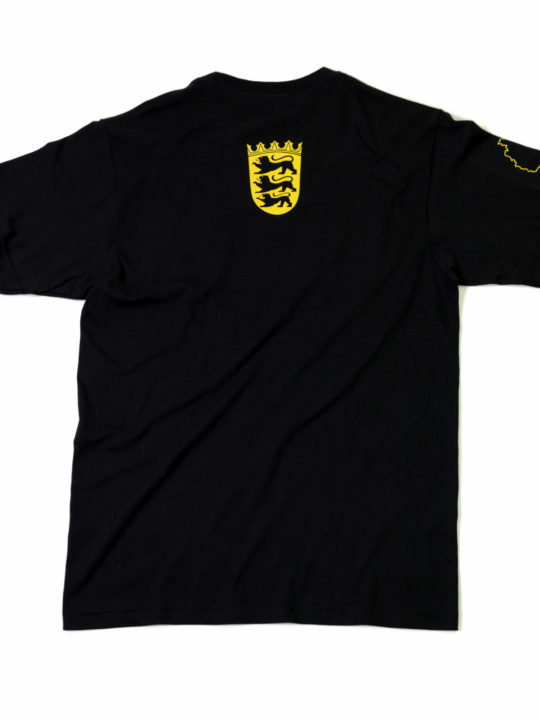 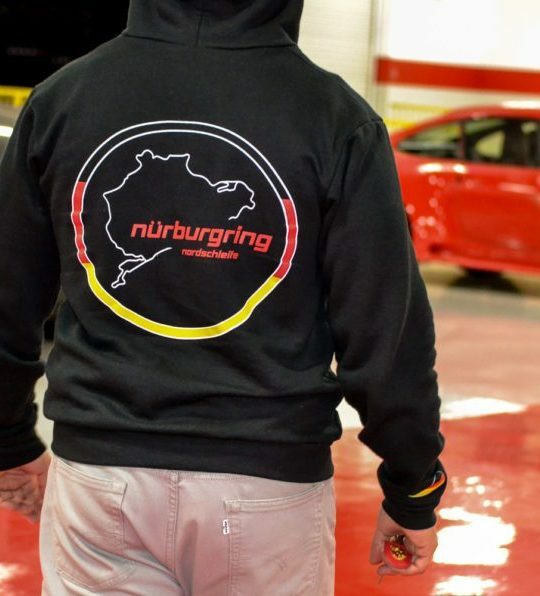 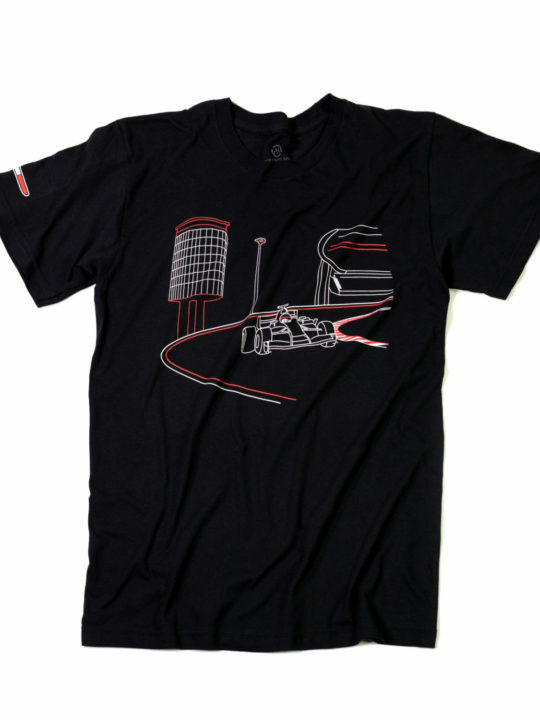 Our Nurburgring T-shirts are designed with superior quality materials built to last. 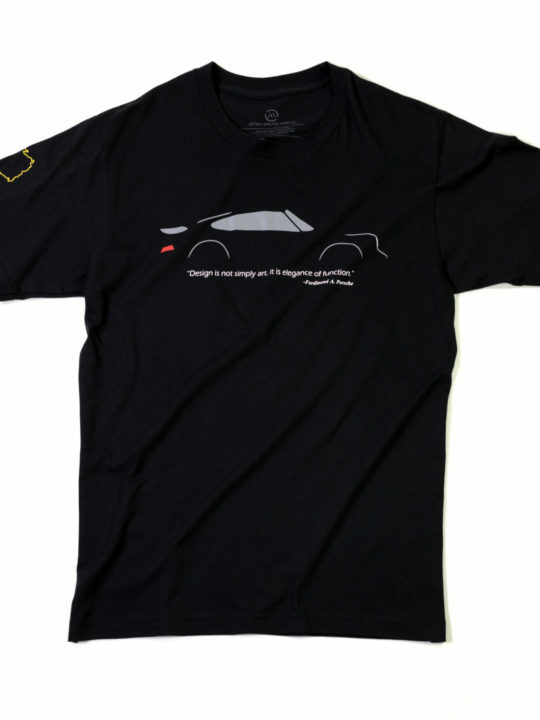 We use only the best T-shirts from American Apparel to ensure comfort and durability. 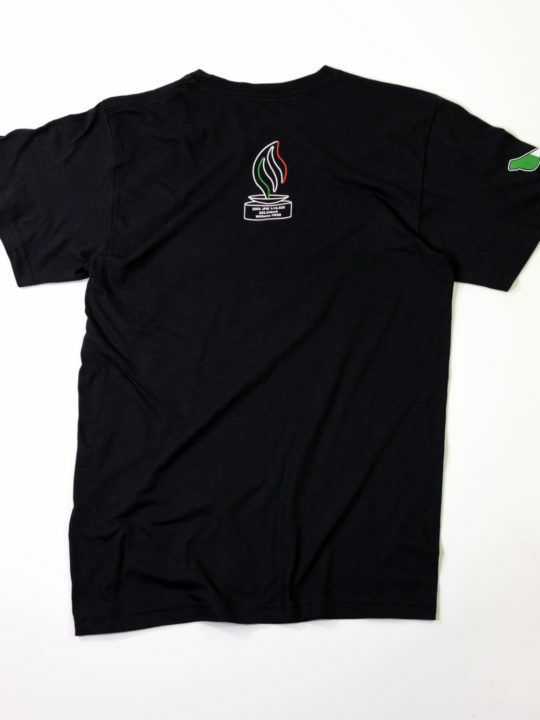 Our products are designed and made in the USA. On the front left is the German National eagle, “Rheinland-Pfalz” is the state in Germany where the Nurburgring is located. 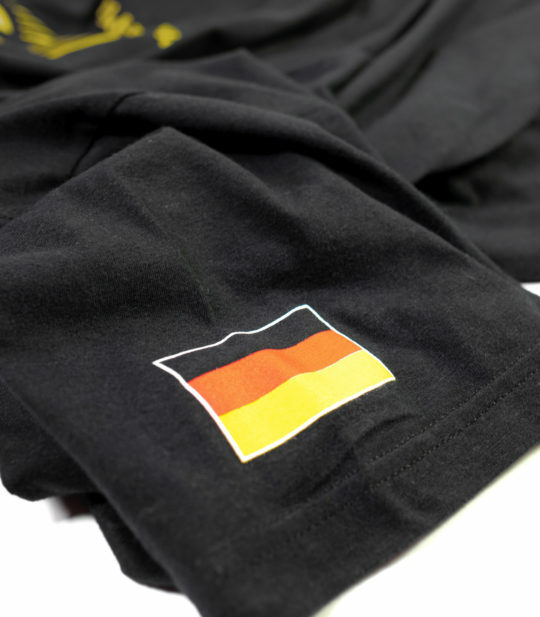 On the right sleeve is a small flag of Germany. 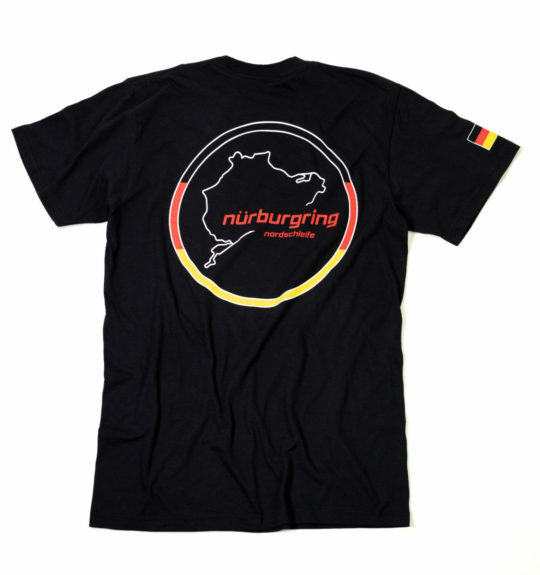 The back has the outline of the track and Nordschleife “North loop” text.